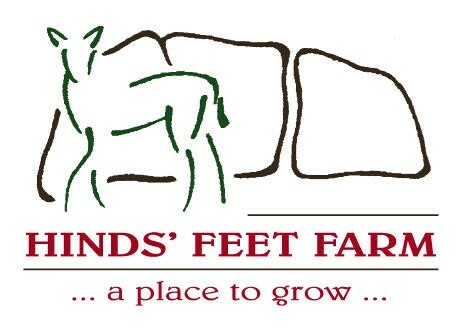 Hinds’ Feet Farm is dedicated to serving persons living with brain injury. The Hinds’ Feet Farm Day Program is a paradigm shift from the traditional medical, treatment, model for people living with brain injury, to a model that embraces a holistic health and wellness orientation, empowering members toward occupation and meaning in life post injury. Members can choose to participate in daily, skill training, thematic-based, workshops. These workshops are grouped into several categories: cognitive, creative, functional, emotional, physical, recreational, social and vocational. Hinds’ Feet Farm is also committed to program evaluation and outcome measures through evidence-based practice to validate the program’s efficacy, and to substantiate members’ journey of an improved quality of life, increased independence and success in their community. Hinds’ Feet Farm will initiate an outcome tracking system in collaboration with the National Brain Injury Research, Treatment & Training Foundation. The Therapeutic Riding Program is not designed to be a standalone program, rather to complement and to enhance the activities our members are already engaged in, and offer them a broader array of program choices. As such, the riding program is offered only to Hinds' Feet Farm Members. You may want to change how you lace your shoes. Believe it or not, there are actually different ways to lace your shoes based on the type of feet you have. Do you have high arches? Flat feet? Wide feet? Narrow feet? Just Google "shoe lacing" + the type of feet you have to find lots of diagrams on what to do. Wow wonderful boggle,It's i get some important information for me. Recently i,m take information for my new business. I,m also take tips from : http://www.foottherapy.net/ .